I am a bookaholic, though I don’t have book hallways and they are not going to fall over and smother me. I just enjoy having a library, reading, researching, and sharing books. I love the feel of a book in my hand and while I am a geek don’t fancy reading electronically, though I can see the benefit of taking along one slim device on vacation. I’ve always been a used book buyer. Starting with the Bodhi Tree in Lalaland, I went first to the used sections to find things no one even knew existed! I cannot even believe they are not longer there — they were a part of my spiritual development! I’ve been changing my ways lately by selling books I don’t read anymore and so, passing them along. Locally we have Powell’s Book, many floors of books, and they also sell online. I like supporting a super local store, and someday I hope one of my books is sold at Powell’s! 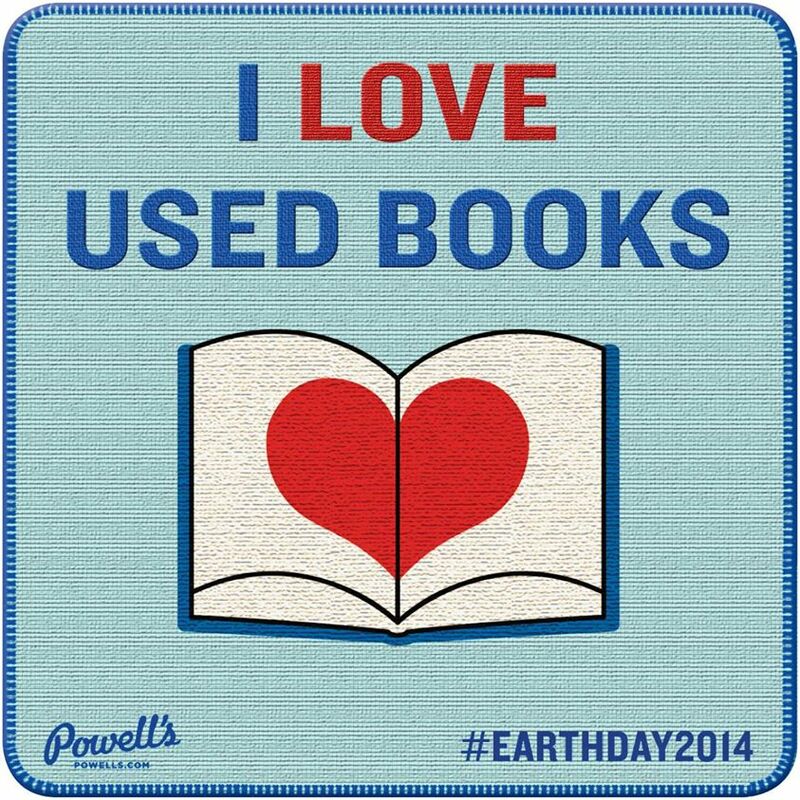 In honor of Earth day they put these cool stickers out, and so, I BUY-SHARE-READ-LOVE Used Books! This entry was posted in addiction and tagged #atozchallenge, Bodhi Tree Bookstore, Powell's Books, used books. Bookmark the permalink.